The skin protection cream Protect Series is used widely from various industrial sites to ordinary home users. The following are some example of the use. By applying Protect X2, rough hands due to washing and disinfecting are prevented and also become a measure to prevent hospital infection. At Earth Blue, we have taken a survey from 2,264 medical practitioners, and 72% have said there were improvements in rough hands after use of the product. 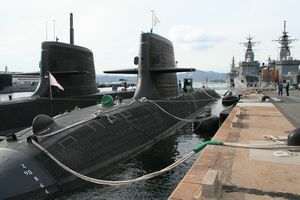 Since Protect X1 was adopted in units of vehicle, vessel, and airplane maintenances, and firing, torpedo, diving, field battle, supply squads, the product has been very highly praised amongst soldiers who had been having rough skin troubles in hands, faces, necks due to the use of solvents and paints. Cutting agent, detergent, adhesive, organic solvent, and paint are some of the cause of skin troubles. To wash them off, scrub detergent is normally used; however, it does not wash off dirt and chemicals penetrated into the skin and nails completely. Protect X1 prevent these chemicals to be penetrated into the skin and nails whilst it protect the skin from getting rough. The product has been highly regarded amongst workers on site. 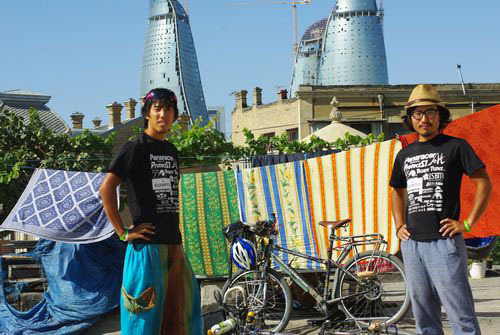 On April 23rd 2011, couple of Japanese university students began cycling from Cape Roca in Portugal to head for Shanghai, spending approximately one year crossing over the Eurasia continent, with purpose of visiting regional schools to communicate with local children.